Houston, Texas stands out as a pivotal force in the rapidly-expanding concierge medicine movement. The city is home to the Texas Medical Center, one of the largest medical complexes in the world, and local physicians were among the first to recognize the many benefits of the personalized-care model. 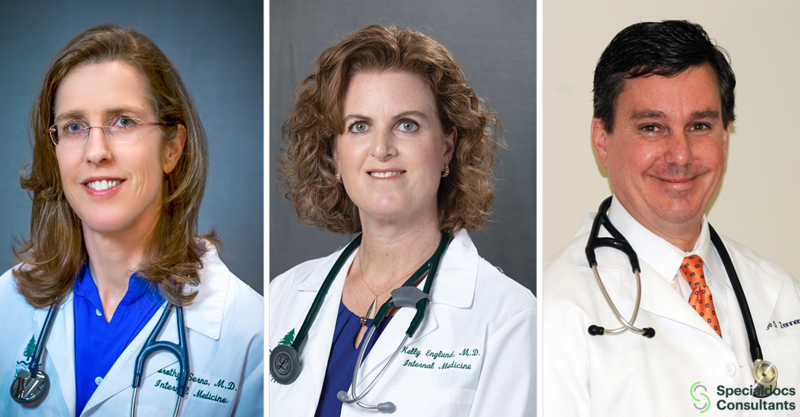 Recently, three more area physicians launched their concierge medicine practices with the support of Specialdocs Consultants, a pioneer in concierge medicine transitions and practice management. For Dorothy Serna, MD, and Kelly Englund, MD, at North Cypress Internal Medicine & Wellness, concierge medicine presented a unique opportunity for change. “This is the type of care I had long sought to provide my patients, with unrushed visits and direct availability whenever and wherever they need me, whether it’s the middle of the night or at the hospital,” said Dr. Englund, who converted to a concierge practice at the end of 2018. In mid-2017, Dr. Serna discovered the concierge model meshed perfectly with her lifestyle medicine (LM)-focused approach. George Zenner III, MD, a family medicine physician in south Houston, launched his concierge practice in October 2017 and calls the model a return to a tried and true model of care. “Even the greatest physicians can’t come to the right answers without ample time to listen to their patients, conduct thorough exams and continually monitor their individual situations,” says Dr. Zenner. Bauer says Specialdocs offers a lifeline to doctors who were originally drawn to medicine because of a desire to provide personalized, dedicated care. “I didn’t see a way to sustain a solo practice and provide high quality care until I learned about concierge medicine. That was exactly the right move for me and my patients,” he said. Specialdocs Consultants has provided expert guidance to physicians across the country since 2002, helping them transform their lives with concierge medicine and remaining with them long afterwards.